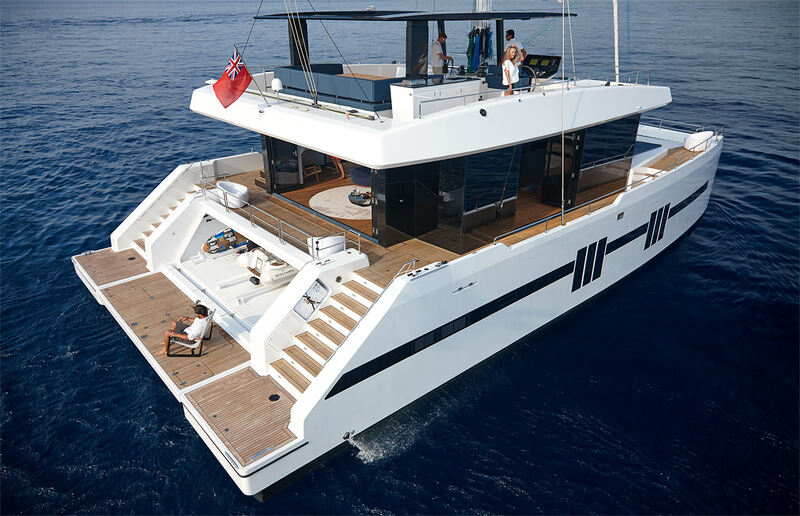 Built by the Polish catamaran yacht builder, Sunreef Yachts and launched in 2016, MIDORI is a spacious 21m (68’11’’) luxury yacht offering charter vacations for up to 8 guests in four lovely, modern cabins and great socialising areas, with interiors by Bram Van Scharen. 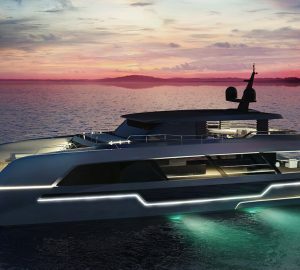 She has a crew of 4. 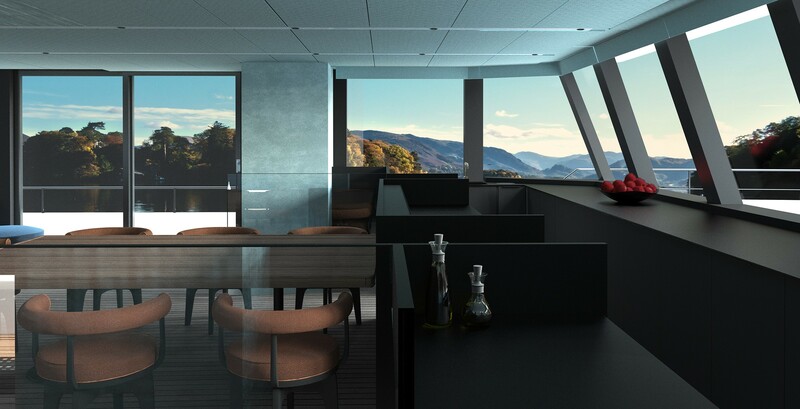 MIDORI (meaning 'Green' in Japanese) uses state-of-the-art technology to create a no noise environment while you are on board. 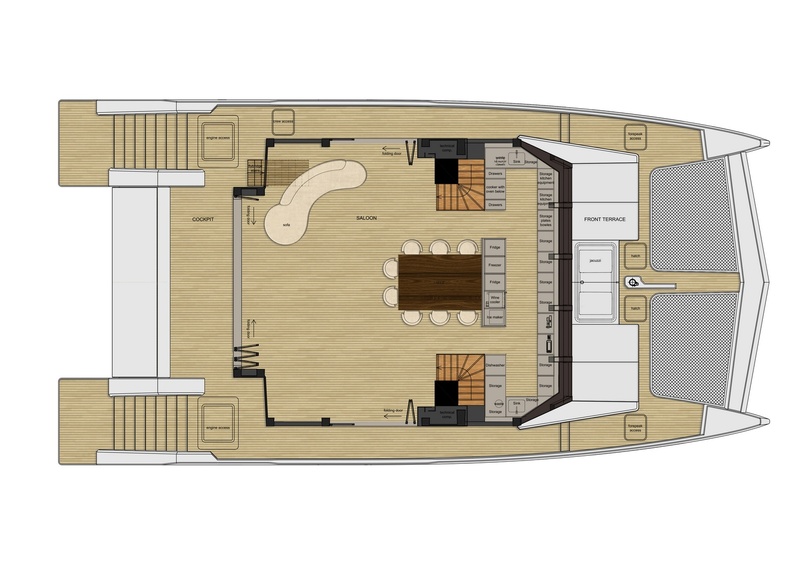 From the aft cockpit, guests can access the water via the staircases along each hull, or head to the foredeck for the spread of sun pads and the forward trampoline. 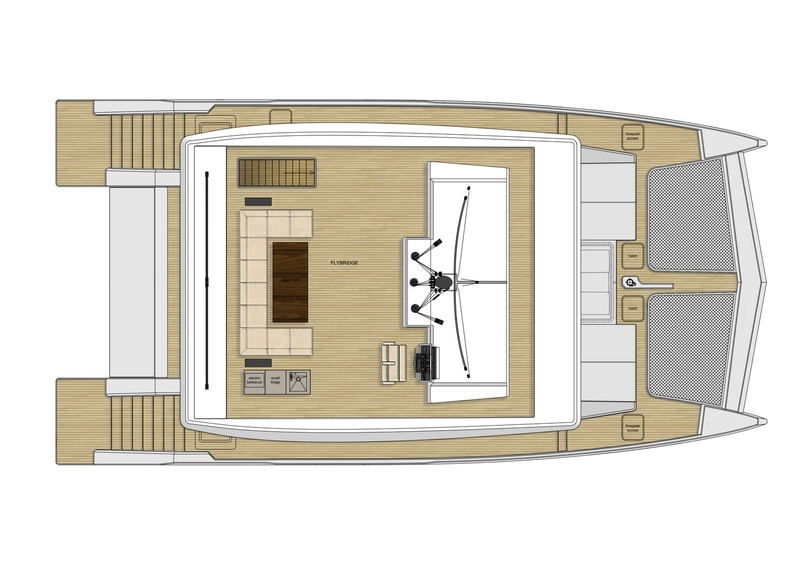 The views are excellent anywhere on board, however, the flybridge has a comfortable forward seat as well as a C-shaped sofa and raised dining table beneath the hardtop shade. 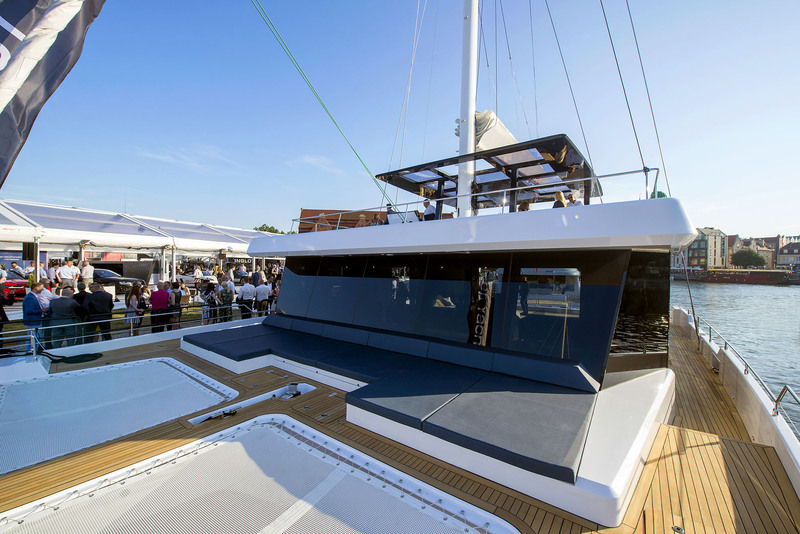 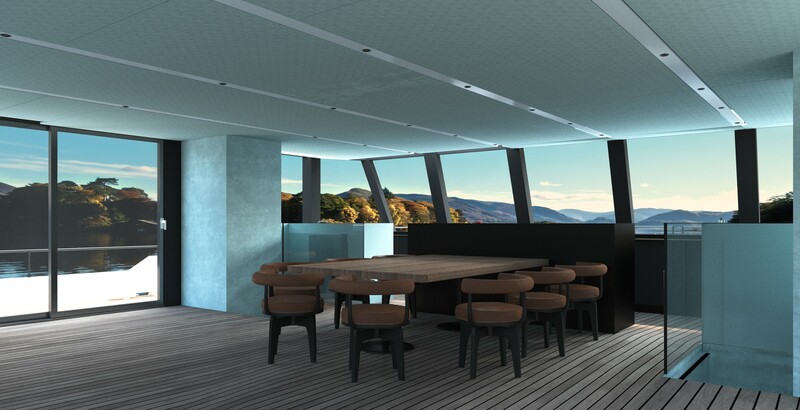 A bar and grill are positioned on the starboard side for meals and refreshments throughout the day. 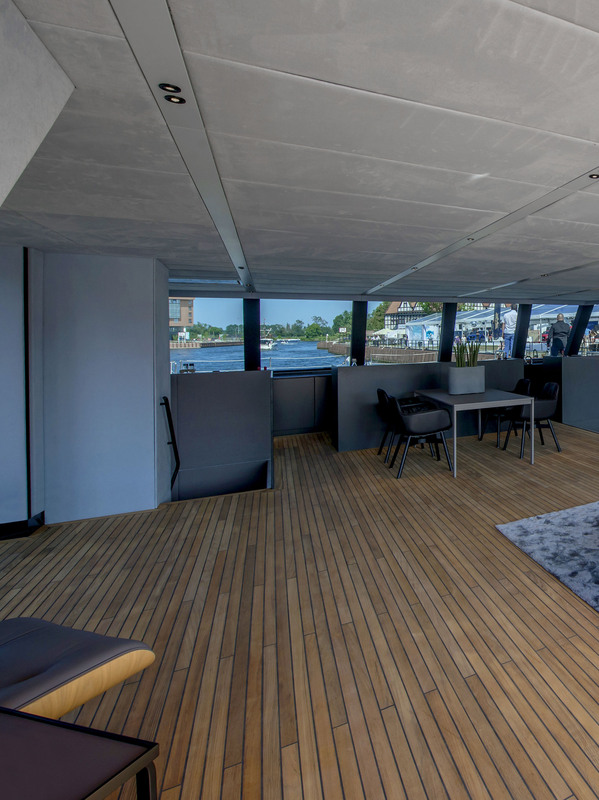 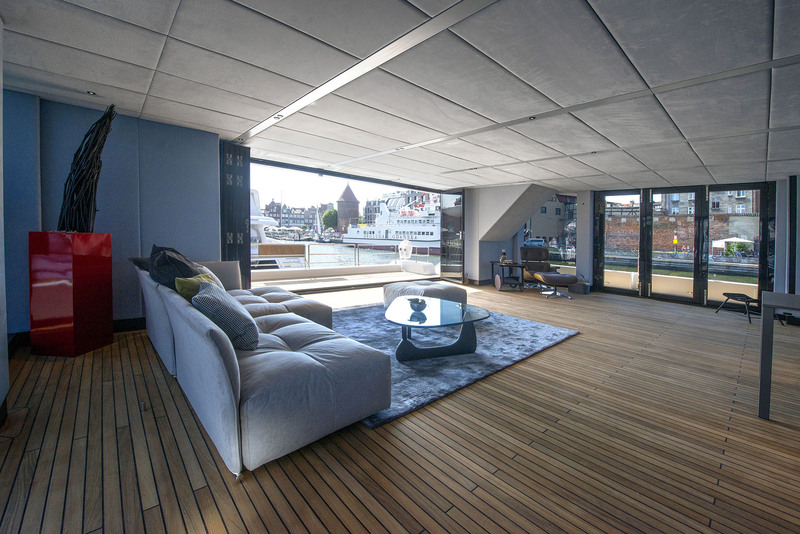 On the main deck, the central area is dedicated to the salon, where there is plenty of space for guests to use for exercise such as yoga. 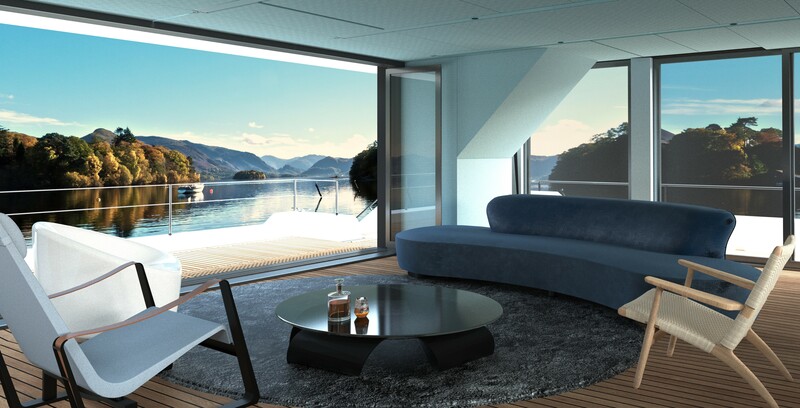 Floor to ceiling windows on the port and starboard sides flood the space with natural light to create a tranquil and enjoyable recreational area consisting of a forward formal dining area to seat up to eight guests, plus a sumptuous L-shaped sofa with a footstool and coffee table. 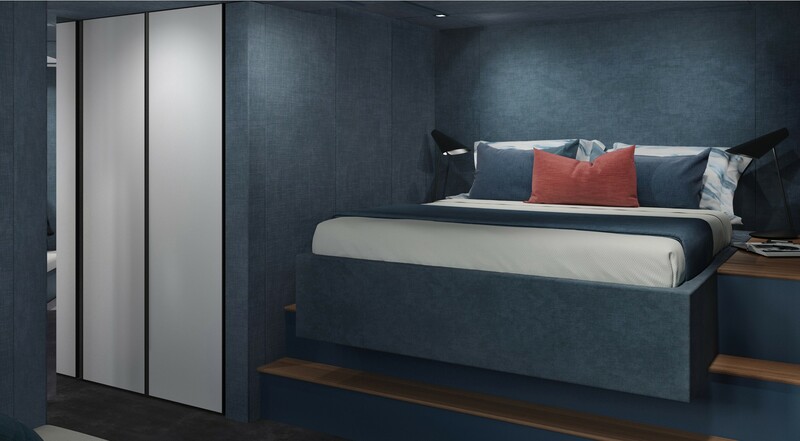 The lower deck accommodation is positioned in the hulls and contains two large VIP cabins on the port side and a forward starboard VIP stateroom and an aft Master suite, all of which have en-suite facilities. 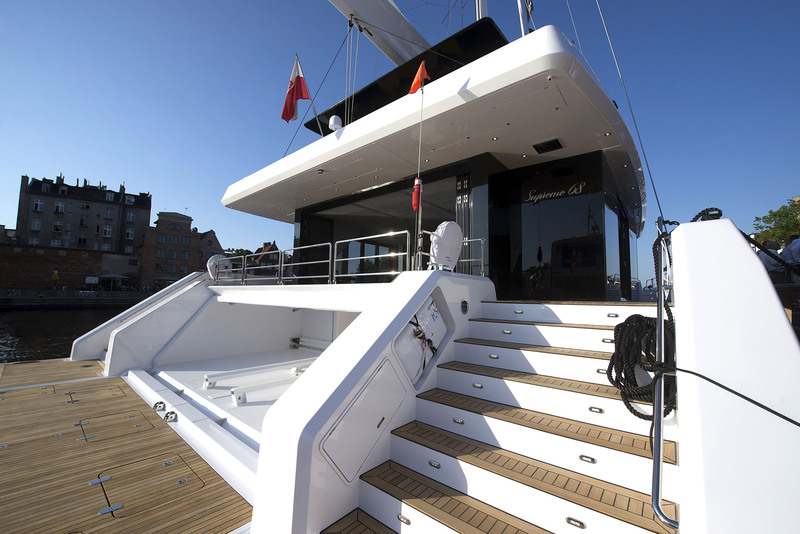 To the stern is the tender garage, which leads out onto the swim platform. 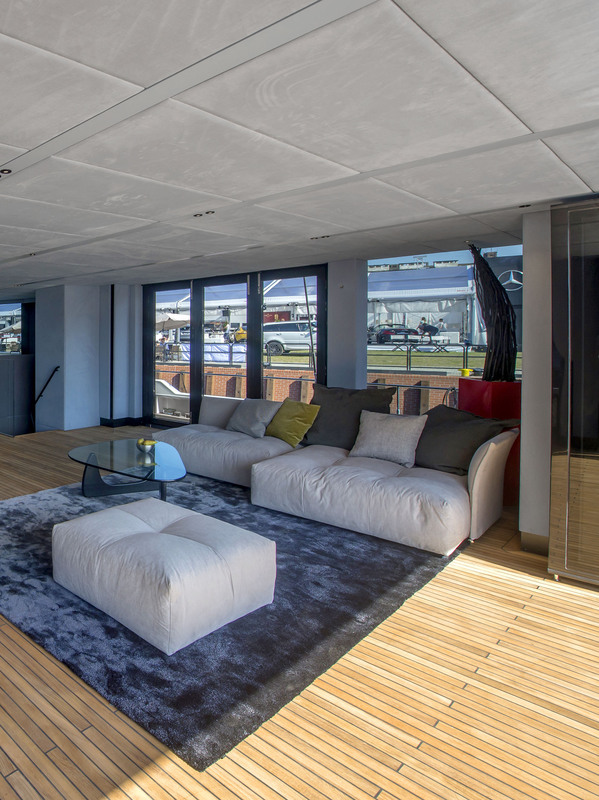 The accommodation sleeps up to 8 guests across 4 spacious en-suite cabins: 1 Master suite and 3 VIP staterooms. 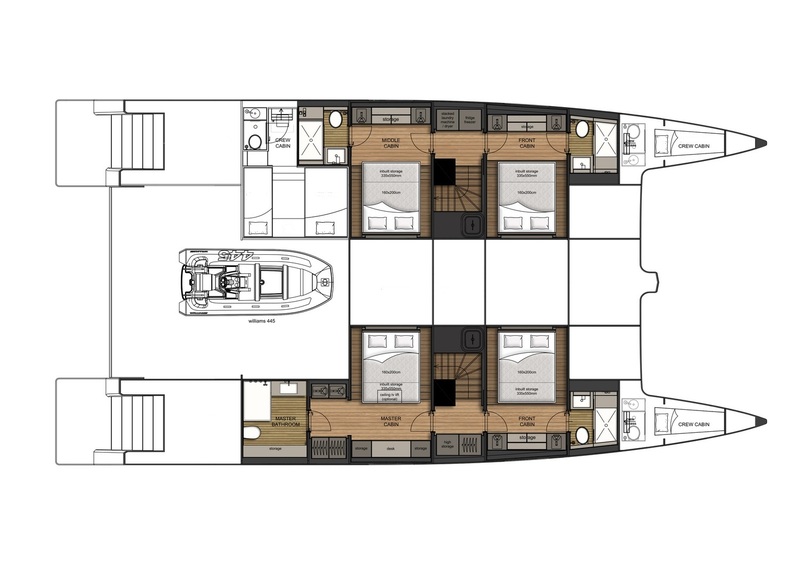 The crew area sleeps up to 4.